If you have been following my blog for the past few years you may have noticed that I have lost my memory keeping mojo - and seldom posted scrapbook or Project Life layouts. Well no more of that nonsense. What helped me get my mojo back was joining a Facebook page called Scrapbooking for Newbies. The owner of this page placed an order at my online store and then she invited me to join her group. I happily joined because I wanted to get back into memory keeping simply because I love it. I decided to give it a go and see what I could come up with to share over on our group page. 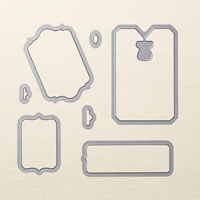 These products make scrapbooking a breeze! I used one of the card pack cards as my title and a second card for a journaling spot, then used my Tailored Tag punch and left over bits of the Best Route designer paper to punch the shapes across the middle of the page - rather than use squares. If you scrapbook, why not join our fun layout challenge on your next page? And consider joining our Facebook group - newbies or not newbies are welcome! Yesterday I created a Happiness Blooms memories page to capture some of my recent life adventures. There are so many terms and styles for preserving your memories: scrapbooking, Project Life®, or memory keeping pages, and Stampin' Up!s Memories & More® collections. In today's video below I am going to show you how to create a companion page for the Happiness Blooms page I created yesterday. The beauty of this page is that you don't need a lot of supplies - not even stamps or ink! In the video below my page photo, I walk you through what I did to create each pocket card. 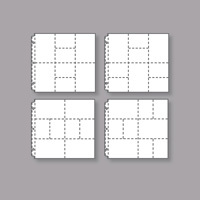 Night of Navy: 4" x 6"; 2 3/4" square; 3 3/4" x 3 1/4"
Whisper White: 6" x 1 1/2"; 4" x 1"
In Color 6x6 Designer Series Paper (2018-20, 146963, Pineapple Punch): 3" x 4"
Here's my video tutorial, thanks for watching. So tell me, which memories page do you like best? The one I created yesterday, or the one today? Leave me a comment under this post to let me know your fave. Do you know how to preserve your travel memories? It is not as hard as you think. 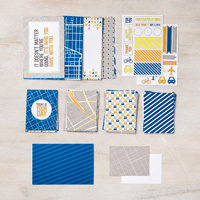 Purchase the Best Route product suite and some 12x12 cardstock and you are good to go for many travel experiences. Oh, and you also need to travel and take photos while in all those amazing places! This suite was part of my first purchase in the Annual Catalog because I knew I would use it up in a flash. 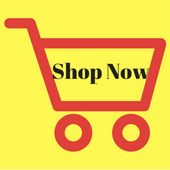 Click here to link over to my online store! Now let me show you how to use some of the Best Route products to make a travel page. Choose your page layer - I chose Gray Granite because it is one of the colors in the Best Route paper (I have a thing about matching colors!). 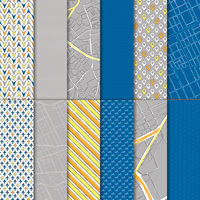 Choose your favorite pattern in the Best Route designer series paper pack. My layer is 8" x 12". 3. Add a strip of coordinating (yes there's that need again!) 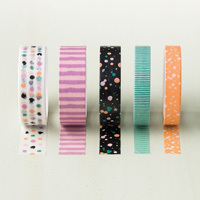 Best Route washi tape - I added a strip of Gray Granite up my page, where the designer paper meets the card stock base. 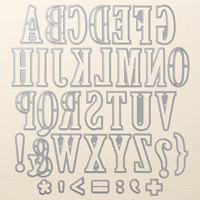 Hint: share the cost of this item with your crafty friends and share the letters around as needed! Hint: you can create larger photo layers for your page - just tweak the layout. 6. Add a phrase from the En Route stamp set at the top and your page is done! Once I select and add my photos I will have lots of room on the right side to journal - or add a short bit under each photo in the space available. Traveling is an amazing experience and I wish you many travel adventures and fun memories to create and preserve in the coming years! Add a comment below and tell us which location in the world (near OR far) that is #1 on your bucket list! I'd also love to hear if you want to see more scrapbook/memory keeping page blog posts! We are so lucky. We have so many opportunities at our fingertips, crafting being just one of them. For the past week I was in Cambodia on my first solo tour ever - and this was one experience I will never forget. I hired a young female guide to spend three day with me, to take me to her favorite temples and to share the history of Cambodia with me. How little I knew. And how fortunate I really feel. While I was away I promised myself that I would take up memory keeping once more because I know that as I travel some more and other life events happen, memories fade away. I used to scrapbook all the time but at one point I lost interest. It's back! As soon as I get my photos printed and have designed my page layouts I will share them in a future post. So come on back soon! Tags: Angkor Wat, Cambodia tours, Cambodian temples, memory keeping, Nutz about stamping, Stampin' Up! 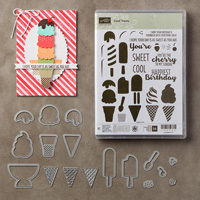 Today I have a sweet birthday card idea using the Cool Treats bundle and Playful Palette washi tape. You won't want to miss my video below to learn where I got my card idea! Blushing Bride: 8 1/2 x 5 1/2"
Whisper White: 4" x 1 3/4", two pieces: 2 1/4" x 1"
In Color designer series paper: 4 1/2" x 1/4"
Here's my video tutorial, thanks for watching! Hello from Tokyo! I am very fortunate to work for an international education non-profit organization and to travel to different locations to present at conferences. This past week I presented at a conference in Yokohama and tomorrow will be visiting a school in Tokyo. Today is my day off so I ventured out into Tokyo to see some of the sights and thought I would share them with you too! This has been an amazing week and I have found the Japanese people to be lovely. If you have the opportunity to travel this country is a must-see in my humble opinion! I can't wait to return home and add many memories and photos to my Project Life album! It's Here - the December Paper Pumpkin kit! It’s been another great year, and now it’s time to save those memories. The December 2016 Another Great Year Kit makes it easy! Simply arrange the patterned papers and window sheets just how you want, embellish with washi tape, stickers, and photos. 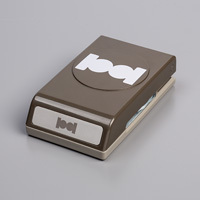 Then, use the rotary stamp and Basic Black Stampin’ Write® Marker to capture your favorite memories for years to come. Here's a peek at this amazing kit! 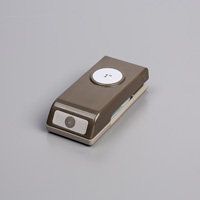 This kit makes memory keeping easy and completely customizable. 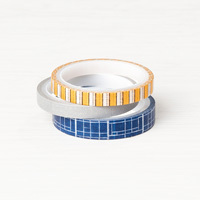 Use the patterned papers, window sheets, stickers, and washi tape to embellish your book. And, for the first time ever—we’ve included a rotary stamp and Basic Black Stampin’ Write® Marker to help you jot down and journal every moment! Go grab yours now, and make 2017 another great year! It’s available while supplies last. Subscribe here - OR - give a subscription as a last minute gift! 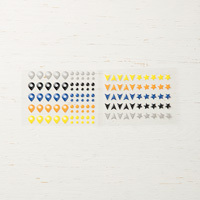 Purchase here: http://ow.ly/GDqD307jfmP and Stampin' Up! will send you an email with a printable gift card and a subscription code. Tags: crafting kits, last minute gift ideas, Nutz about Stamping, Paper Pumpkin, Project Life kits, scrapbooking kits, Stampin' Up! Today I want to post something completely different - a peek into the country that I currently live in. I am not sure that you know this but two years ago I was offered an amazing opportunity to work and live in the Netherlands for a non-profit global education organization. I just couldn't turn down this experience so I took my Stampin' Up! business totally online (thanks to all who have still supported me! ), packed my bags and jumped right in. Recently I decided that I had better explore this amazing country so I have no regrets. Two weeks ago I jumped on the train to head to Dordrecht, a city in the south part of the Netherlands. My advice is to take chances in life and see what comes your way. Maybe you, like me, will have amazing experiences too! Tags: Dordrecht, Nutz about Stamping, Project Life, Stampin' Up! 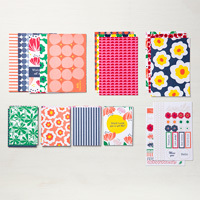 If you have purchased the Subtles paper stack, you may be wondering how to use all those delicious designs. Here's a page idea to capture your memories - this layout will feature the photo instead of detract from it! Don't miss the list of products and step-by-step instructions below. This is an easy page idea using one of our Project Life Photo Pocket Pages combined with a touch of traditional scrapbooking. 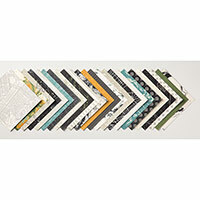 Use this layout as a title page in an album or to highlight a special 4” x 6” Photo. 1. Slip cut pieces of designer paper into photo pockets arranging prints as desired. 2. Mount Whisper White piece over top Calypso Coral card stock with Glue Dots. 3. Attach this piece to top of Photo Pocket Page with Glue Dots. 4. Punch and assemble bow with Glue Dots. 5. Attach bow to card stock as shown. 6. 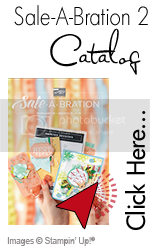 Your page is ready for a title or special 4” x 6” photo! This week I had an amazing adventure in the gorgeous city of Prague, the capital city of the Czech Republic. This city is a photographer's dream and so of course I took a bazillion photos and plan to record my memories using Project Life by Stampin' Up!. I had no difficulties figuring out that I wanted to use the retiring Going Places paper stack for some pocket inserts but I did have a hard time trying to decide on additional inserts that were not simply paper designs. I love hearing from you, please post your comments under this blog post! Very Vanilla: 2 3/4" x 3 3/4"
Now, for the video tutorial - thanks for watching! 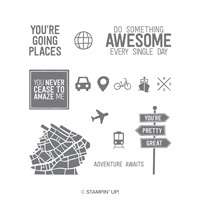 Tags: Going Places paper stack, Nutz about Stamping, Project Life, Remember This stamp set, Stampin' Up! First make memories, second preserve them! Recently my son and I did our favorite activities together - cook. For years we have shared conversation, tastings, recipes and fun times in the kitchen and when I was back home recently we chose a cooking class at Sur la Table to enjoy together. Below are some of my favorite photos from the event. And when I get settled in my new apartment I plan to unpack my Project Life products (Memories in the Making bundle) for some memory making hours. 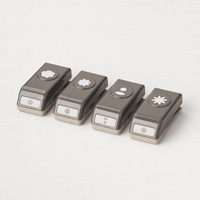 ***To place an order for Project Life products, click here! Do you have favorite memories you want to preserve too? Consider Project Life - it's fun and it's easy!